MANCHESTER – 18th October 2018: Gama, a global provider of business information and services specializing in product innovation, today announces the exciting line-up of international speakers that will take to the stage for the third edition of the Gama Innovation Conference & Awards. Taking place in Manchester on Thursday 25th October 2018, the Gama Innovation Conference & Awards will bring together leading professionals from as far afield as Brazil, Australia, Lebanon, the United Arab Emirates and Canada for an inspiring morning of presentations and discussions on the theme of innovation in the consumer goods industry. Responding to changing consumer needstates, bringing a retail brand to market, the future of food manufacturing and the keys to maximising engagement through social media will be among a diverse range of themes explored, as expert speakers reveal the myriad ways that creative innovation can drive growth in the FMCG space. 2018 will also see the return of the one-of-a-kind Innovation Zone, where disruptive companies from around the world will showcase an array of game-changing launches to an international audience of FMCG manufacturers, retail buyers and industry experts. Cesar Pereira, Gama Founder and CEO, commented: “I am delighted that the Gama Innovation Conference & Awards (GICA) is returning to Manchester for its third outing. Building on the success of our 2016 and 2017 editions, GICA 2018 will once again welcome an exceptional and diverse range of speakers, making it a unique opportunity to learn first-hand the secrets to success in the FMCG space from recognized industry thought leaders – as well as innovative newcomers. I have no doubt that everyone who attends GICA 2018 will come away with fresh inspiration and new insights to carry forward in their own business”. 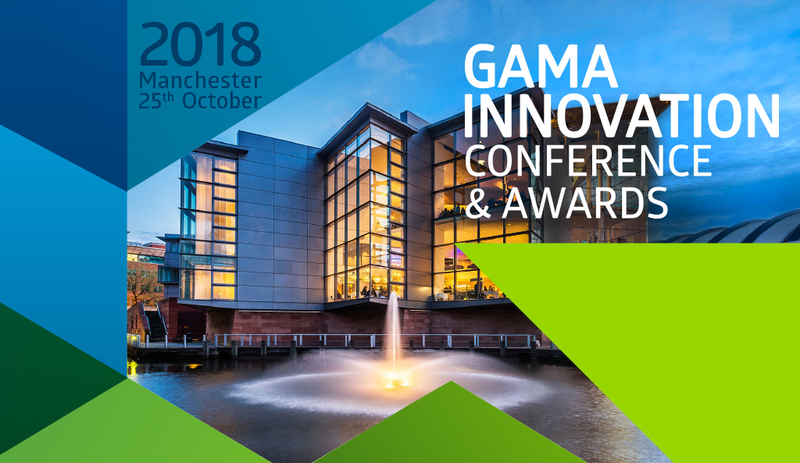 The Gama Innovation Conference & Awards will be held at the Bridgewater Hall in Manchester on Thursday 25th October 2018. For more information, please contact Sergio Costa at sergio.costa@gamaconsumer.com.